This week in The REI of Virginia Educational Institute we will be challenging the question, to mediate or not to mediate in our unlawful detainer court battles. Our guest speaker will be Certified Court Mediator, Donna Chewning. Donna will be at our meeting to talk about the benefits of mediating our Unlawful Detainers. We will obviously also discuss the disadvantages. This is a good meeting for REI to host because it’s a great time to talk about both the advantages and disadvantages of the use of mediation. I can comfortably say that landlords in Roanoke overall don’t like to mediate as a result of failed mediation agreements in the past. The judges often tell the courtroom that the contested hearing dates are a couple months down the road to ensure that people will be motivated to mediate. However it’s extremely common for the tenant to not live up to the terms of the mediation agreement which will also dramatically slow down the timeline of removing them from your house so you can get a good paying resident. As we all know, if you tell your bank, the tax man, your insurance company or any of the other creditors you have that you are going to be late because your tenant won’t pay you…… they reasonably won’t care. This meeting will allow us to brainstorm for possible terms within the agreements that we can incorporate which will help ensure compliance. Here’s my on my own idea that didn’t end up working out. At the rehearing of one of my several failed mediations I asked the judge to hold the tenant criminally in contempt of court for breaking the court agreement to pay me. I will bet that I’m probably the only person who has ever asked him that as he seemed surprised to hear it. And he said no as I expected. For those of you who haven’t learned this important life skill. If you don’t ask, you won’t get. And that counts for every aspect of your life. From when you’re low-balling a deal to asking the judge for a particular ruling in a court proceeding. And it is the exact opposite for people like me who are always asking. Those who continually ask for unconventional things end up getting unconventional things. Think about that for a minute. As most of us have found, when a resident fails to live up to their end of the mediation agreement, they will not be held accountable for their actions. Even though we have held up our end of the agreement by paying the seemingly never ending costs of owning good habitable property for them to live in. That being said, there are areas that we should brainstorm to see what we can come up with to make these mediation agreements stronger and more effective for the property owner. 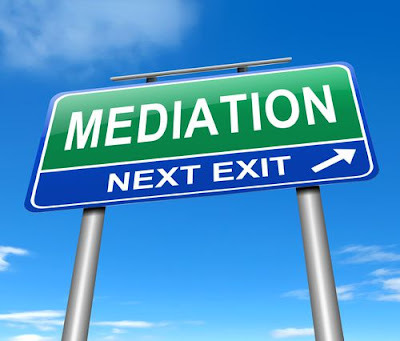 Unfortunately as it currently stands, the negatives of court mediation far outweigh the positives. Our task at hand will be to figure out what we can incorporate into these agreements that will make them a benefit to all parties rather than just a time extension for the tenant. Come on out, it’s going to be another fun meeting.